Passionate as ever about helping those in our community most in need, it was easy for Robbie, owner of popular Pakington Street café King of the Castle to rally the Geelong community to help a local emergency food assistance program, the Christ Church Community Meals Program. 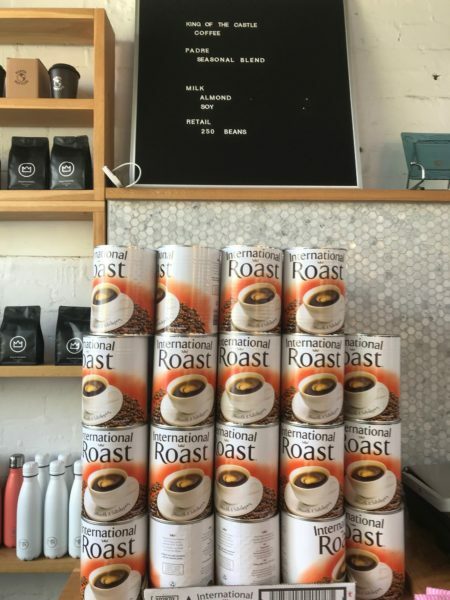 Using the power of social media, Robbie put the call out for anyone who was in the position to donate a large tin of international Roast Coffee and Geelong certainly answered. 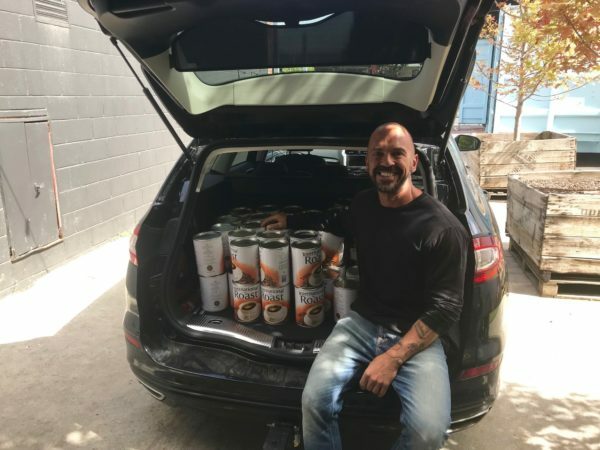 This week, we were thrilled to help pick up the 68 tins of coffee, collected over the past couple of weeks at King of the Castle Cafe and deliver to the Christ Church Community Meals Program. Serving breakfast every single day of the year and an evening meal on Monday and Wednesdays, this program provides food relief to their ‘guests’ who are unable to access fresh and nutritious food. Every morning, the program makes 50 cups of coffee for their guests. The 60 + tins of coffee thus equals to over 20,000 cups of coffee, meaning that the program now has almost a whole year’s supply! Huge thank you to all who supported this initiative!